Whether you’re purchasing a prefab dwelling, building a new construction home, or planning to fix up an older house, you’re probably excited about the prospect of closing the deal and moving in. Not so fast. Buying a home is an expensive proposition – the biggest investment that most families ever make. 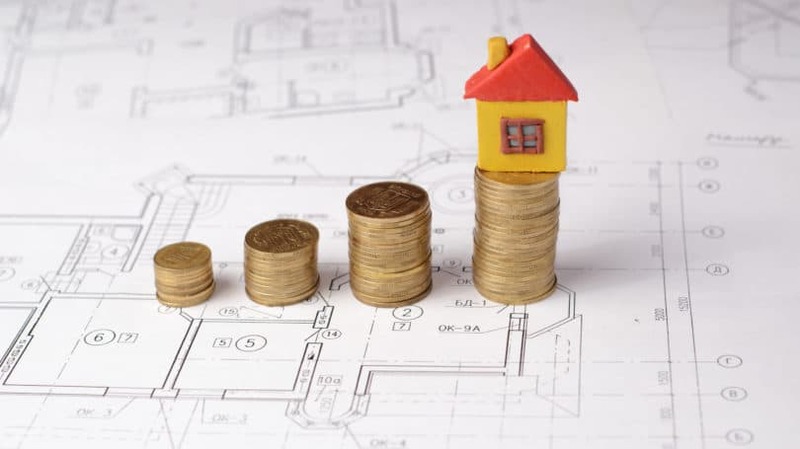 While you aren’t required to cover the entire purchase price up front, you do need to come up with a substantial cash sum before you can close on your house. You need to worry about common closing costs such as your home inspection, lender appraisal, and title insurance. Taken together, these expenses are nothing to sneeze at – depending on your situation, they can amount to anywhere from 3% to 6% of the total purchase price. In buyers’ markets, you might have luck convincing your seller to pay some closing costs, but that’s far from guaranteed. Most line items are small change compared with the biggest closing expense of all: your down payment. Though it’s due at closing, the down payment usually isn’t considered a closing cost. That doesn’t make it any less impactful, though. Your down payment plays an important and sometimes decisive role in whether you can close on your dream house – or, let’s be real, the best house you can afford on your budget. This is because your down payment is a key part of the offer you present to the seller. The general rule of thumb is simple: the larger the down payment, the stronger the offer. More precisely: the greater the down payment’s share of the total purchase price, the more likely the seller is to accept. Historically, the ideal down payment has been at least 20% of the purchase price. On a $200,000 house, that’s $40,000. In recent years, smaller down payments have come into vogue, thanks to looser underwriting requirements and growing acceptance among sellers. Nevertheless, scraping together a down payment is a tall order, especially for first-time homebuyers in expensive coastal markets. According to CoreLogic, the average home price in California’s Bay Area topped $700,000 in 2016 – and that figure includes relatively inexpensive bungalows in East Bay suburbs, as well as ultra-pricey row houses in San Francisco proper. That doesn’t mean it’s impossible to save for a down payment. It just requires time and fiscal discipline. If you can follow some or all of the following tips and strategies, I’m confident you’ll realize your dream of homeownership faster than you thought possible – even if it means scrimping in the short term. First, figure out about how big your down payment will be. However, on the matter of affordability, the most important number is the down payment amount. If you can’t cobble together a $50,000 down payment on a $250,000 house (or a $400,000 house, if you’re putting down less than 20%), then you can’t afford that house. The top end of your affordability range, then, is the highest down payment you can save for within your allotted time horizon, without undershooting your target LTV. So, if you want to buy a $300,000 house with a 20% down payment in three years, you’ll need to have $60,000 set aside for that purpose 36 months from today. Of course, you need to bring more than just your down payment to closing. To be safe, assume your other closing costs will add up to 6% – near the top end of the realistic closing cost range. On a $300,000 house, that’s another $18,000, for a total of $78,000. Lastly, don’t completely deplete your bank account to buy your dream home. It’s wise to have at least three months’ income in liquid savings as an emergency fund, regardless of your near- or long-term goals. Six months is even better. If you’re looking to buy on an accelerated timetable, live in an expensive housing market, or doubt your ability to save for a 20% down payment on an acceptable house in your target neighborhood, look into special loan programs with lower down payment requirements. Some of the more common special loan programs are listed below. Other options exist, so check with local, state, or federal housing authorities to learn what’s available for families in your area and circumstances. FHA Loans. 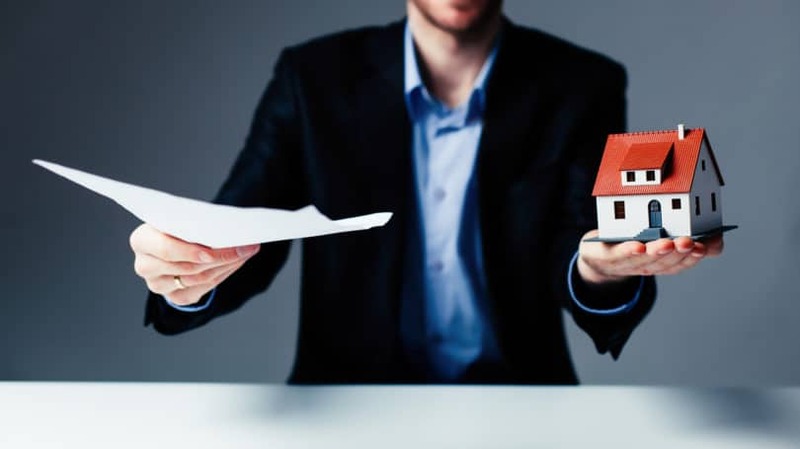 FHA mortgage loans are insured, but not originated, by the federal government – specifically, the Federal Housing Administration. Known as 203b mortgage loans, they require just 3.5% down. 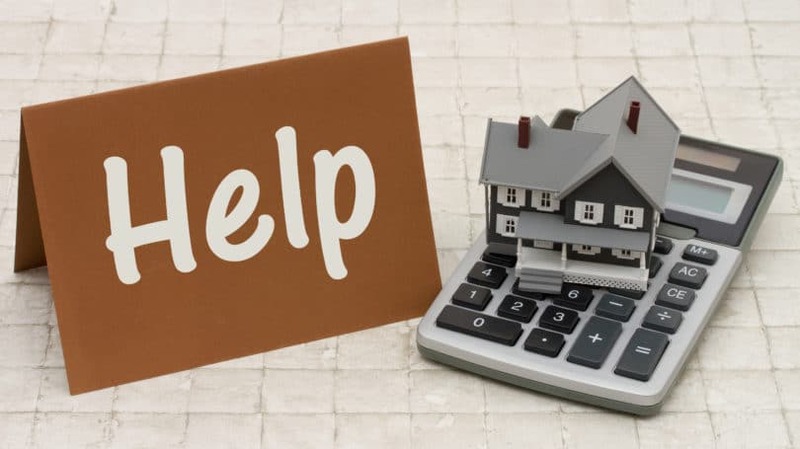 They can be used on one- to four-family homes and typically carry lower interest rates than conventional mortgage loans, though your exact rate will depend on your creditworthiness and other factors. Underwriting standards are also much looser than on conventional mortgages – you can qualify with a credit score below 600. VA Loans. If you or your spouse is a current or former member of the military, your family may qualify for a VA home loan backed by the federal government (Department of Veterans Affairs). 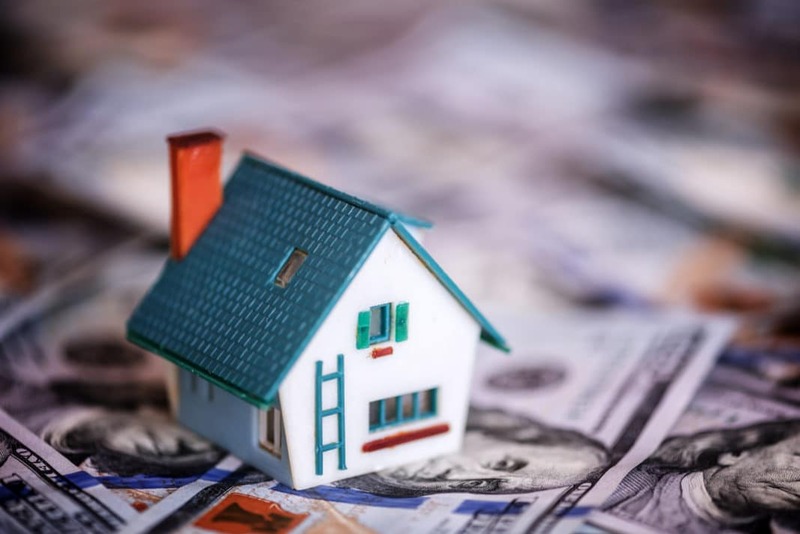 On the down payment front, VA loans are even better than FHA loans – they require no money down, though you’re free to put money down and reduce the total amount you must borrow. If interest rates drop after you’ve been in your house for a while, look into VA streamline refinance loans (IRRRL), which can reduce your rates significantly at a lower cost than a conventional refinance loan. USDA Loans. 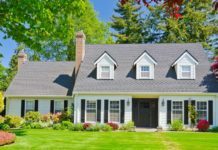 If you’re buying a home in a rural or outer suburban area, you may qualify for a USDA loan, another type of federally insured loan designed to bring housing within reach for lower-income country-dwellers. Unlike FHA and VA loans, USDA loans are direct loans – they’re made by USDA itself. Use USDA’s property eligibility map to see if you qualify. Conventional 97 Loans. Conventional 97 loans are just as they sound: conventional mortgage loans that let you put as little as 3% down, for a maximum LTV of 97%. They’re backed by Fannie Mae and come in different configurations, so be sure to read Fannie’s fact sheet before applying. Beyond program-specific requirements, these special loans have some important drawbacks. Perhaps most importantly, they carry private mortgage insurance (PMI) premiums until LTV reaches 78% (though you can formally request PMI removal at 80% LTV). In some cases, these annual premiums can exceed 1% of the total loan value – an extra $3,000 per year on a $300,000 loan, for instance. Special loans can also weaken your offer. Some sellers are reticent to sell to first-time homebuyers with FHA or Conventional 97 loans, reasoning that their finances may be shaky and the deal may fall apart before closing. All other things being equal, rational sellers are likely to favor conventional 20%-down offers over lower down payments. 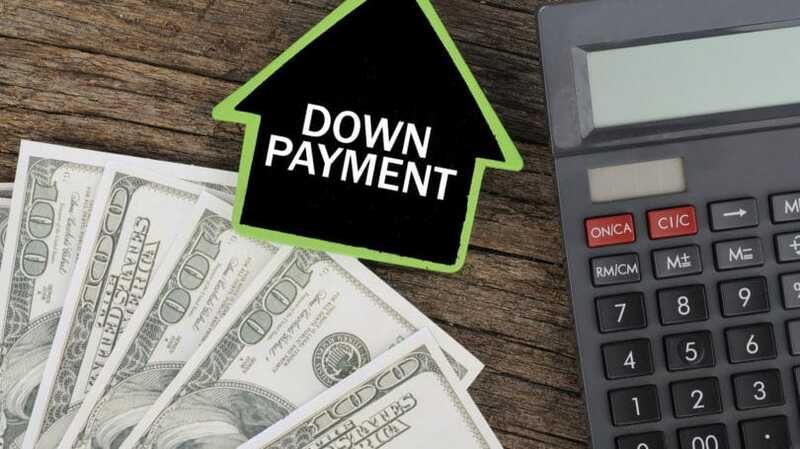 Relatively few prospective homeowners realize that they could qualify for national down payment assistance programs that can reduce their out-of-pocket down payment costs by thousands of dollars. Resources abound, but the National Homebuyers Fund is representative. Since 2002, it has provided more than $200 million in direct grants to more than 30,000 buyers. It has a slew of grant option backed by various institutions – you can see the requirements for the Citibank-backed Sapphire option here, for instance. NHF grants may only be available in certain states and on loans of certain sizes. Other conditions may apply as well, so it’s a good idea to contact the organization directly and speak with your lender before assuming that you’ll qualify. Your state and perhaps local governments may offer down payment assistance programs as well. For instance, in my native Minneapolis, the Minnesota Homeownership Center has a handy Down Payment Assistance finder that tells prospective homeowners about down payment financing and non-financial assistance resources available in their areas. In California, Golden State Finance Authority provides direct, need-based grants (with some strings attached) worth up to 5% of the loan amount – not an insignificant sum in pricey California metro areas like San Francisco and Los Angeles. Prospective homeowners often face a fraught choice: pay off their outstanding credit card balances or save for their down payments. For many folks, paying off credit card debt is a high-priority goal. Even low APR credit cards typically charge interest rates north of 10% APR. On an average balance of $1,000, that’s $100 in interest charges each year. If your debt load is higher, adjust accordingly. Because they’re secured by physical property, mortgages almost always have lower interest rates than credit cards, even when the borrower’s credit is less than perfect. Faced with the choice to purchase a home at 5% APR or carry credit card debt at 15% APR, most people would select the former. Paying off credit card debt isn’t always straightforward, though. Focus on your highest-interest debt first (debt avalanche method), even if that means putting as little as $25 or $50 extra toward your payment each month. As your high-interest debt load shrinks, you can move onto lower-interest credit card debt, and you’ll likely accelerate your progress toward a $0 balance. With lower (or no) interest charges eating into your spending and saving power, you can then direct your dollars toward your down payment fund. To accelerate and simplify your debt payoff process, consider taking out a debt consolidation loan that rolls all your disparate obligations into a single instrument. Many lenders make unsecured personal loans for just this purpose, so shop around for a lender whose products fit your credit profile and ability to repay. The advent of online banking makes it easier than ever to save small amounts of money without even realizing it. Some major banks, including Bank of America (Keep the Change) and U.S. Bank (S.T.A.R.T. ), empower deposit account holders to save their spare change from every transaction using apps that automatically round debit card payments up to the nearest whole dollar and sock away the remainder in a savings account. For instance, when you spend $3.69 on your morning latte, your debit card is charged $4, and the remaining $0.31 drops into your savings account. Multiply that by 50 or 100 transactions per month and you’ve got yourself a nice side pot. Expecting a tax refund this year? Reserve a slice of it to reward yourself for all your hard work last year – a nice restaurant meal, a frugal weekend getaway, a new piece of furniture for your home. Enjoy it. Then sock the rest of your refund away in your down payment fund. If you reliably receive a $3,000 refund, spend $1,000, and save the rest, you’ll have $6,000 after three years, and $10,000 after five. That probably won’t account for your entire down payment, but it can’t hurt. If part of your compensation package involves monthly, quarterly, or annual performance bonuses or profit-sharing payments, apply the same logic to these: Save a portion, then put the rest into your down payment fund. Since performance bonuses and profit-sharing payments aren’t guaranteed, it’s risky to account for them in your day-to-day or month-to-month budgets anyway. That’s like counting your chickens before they hatch. If you don’t make plans for your bonuses or profit shares before you know you’ll get them, you won’t miss them. Actually, you’ll be grateful for them as they slowly but steadily grow your down payment fund. Knowing you need to set money aside each month is one thing. Actually doing it is another. Set yourself a calendar reminder on the same day each month or pay period to transfer a set amount of money – at least 5% of your take-home pay, and ideally 10% – into your primary savings account. You can then separate the share allotted to your down payment from your general savings or other savings goals. Or, better yet, create a separate savings account whose sole purpose is to hold your down payment funds. What’s even better than recurring savings account deposits? Automated savings account deposits that you don’t have to remember to execute each month. Most banks allow recurring savings transfers from internal or external checking accounts. Examine your budget and determine how much you can afford to save each pay period or month, and then make it happen, preferably on the same date (or the day after) you receive your paycheck or direct deposit. Again, consider a separate savings account just for your down payment fund. If you’re looking to open a new account, go with one of these bank account promotions so you can make the most of the opportunity. You can choose to pay off your credit card debt and focus your financial firepower on saving for your down payment without actually canceling your credit cards. The secret: cash back credit cards. There are literally hundreds of cash back credit cards on the market. Some, like Chase Freedom and Capital One Quicksilver Cash Rewards, are practically household names. Others are more obscure – they might be new, or issued by regional banks with zero name recognition. By definition, all offer some return on spending. More generous cards with favored spending categories can offer as much as 5% back on a consistent basis, and more on spending with select merchants or on certain items. Many have attractive sign-up bonuses worth $100, $200, or even more. And most don’t charge annual fees. A cash back credit card (or two, or more) won’t singlehandedly finance your down payment. But, as long as you actually save the cash you earn and remember to pay off your balance in full each month to avoid interest charges, it can provide a helpful boost to your savings efforts. Under certain conditions, your retirement account can serve as a supplemental funding source for your down payment. Specifically, if you’re a first-time homebuyer, you’re permitted to borrow up to $10,000 from a traditional or Roth IRA without penalty to fund your down payment. This isn’t free money, of course. If you have a traditional IRA, you need to pay taxes on the withdrawn amount at your overall rate – 28% in the 28% bracket, and so on. On a Roth IRA held for longer than five years, your withdrawal is tax-free, because you’ve already paid taxes on the contribution. If you and your spouse both have IRAs, you can both withdraw up to $10,000, for a total of $20,000. Depending on the projected size of your down payment, that could be a sizable boost. 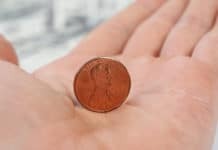 And, on Roth IRAs held longer than five years, you can withdraw tax- and penalty-free contributions in excess of $10,000, though any withdrawn earnings are taxable at your normal rate. However, you also have to consider the opportunity cost of taking that money out of your account, potentially for years (by the time you make additional contributions to cover your withdrawal). You can also borrow from employer-sponsored 401ks to fund your down payment. On 401k loans, borrowing limits are much more generous: You can borrow up to the lesser of $50,000 or half the value of the account. That’s enough to fund a 20% down payment on a $250,000 house, or a 10% down payment on a $500,000 house. However, the devil is in the details. You have to pay back your 401k loans, with interest – typically at 2% above the prime rate. On larger loans, that means several years’ worth of three-figure monthly payments and several thousand in interest charges. Plus, if you take out a 401k loan before applying for a mortgage loan, your credit utilization ratio will spike, which could raise your mortgage loan’s interest rate or cause the bank to think twice about lending to you in the first place. As a general rule of thumb, 401k loans are useful in two situations: for funding small down payments ($5,000 or less) in their entirety or as the last piece of a multi-year, multi-source down payment funding strategy. If your take-home pay won’t get you to your down payment goal on your desired timeframe, or you’re worried about negatively impacting your lifestyle as you scrimp and save for your dream home, consider increasing your income by picking up a side gig – either by taking on a second part-time job, picking up work as an independent contractor, or exploring the many ways to make money from home. We touched on the wonders of recurring and automated savings above, but it’s worth reiterating that not all savings options are created equally. Unless you’re operating on a very long time horizon, it’s not wise to put your down payment funds in the stock market. Stocks, ETFs, mutual funds, and other equity instruments are vital components of retirement portfolios, but they’re not appropriate for certain shorter-term savings goals. Why? Because, over shorter timeframes, market downturns can devastate savings goals. Imagine that you put $20,000 in the market between 2005 and 2007, on your way to an expected $40,000 down payment by 2009. Between mid-2007 and early 2009, U.S. markets lost roughly half their value. In other words, that $20,000 sum would have shrunk to just $10,000, assuming you added no new funds – no doubt crushing your dream of buying a home in 2009. In the short and medium run, it’s much safer to invest in FDIC-insured instruments such as traditional savings accounts, certificates of deposits (CDs), and money market accounts. Though these instruments have relatively low yields – currently below 2% APY in most cases – the risk of principal loss is extremely low. If you want your down payment to actually be there, in full, when you need it, save investments in FDIC-insured accounts are your ticket. For most prospective homeowners, saving for a down payment is a medium- to long-term prospect. Much will happen between the day you decide you want to become a homeowner and the day your future home’s seller accepts your purchase offer. Mint is one of the oldest and best-known of the many personal budgeting apps available to U.S. consumers. It has a slew of capabilities designed to increase your understanding of your personal finances, categorize your spending and saving, and become more financially fit overall. It’s free to use, though subsidized by sponsor ads and partner offers. Level Money weighs your expected monthly income against your projected monthly expenses to produce your Spendable, the balance you can safely spend over the course of the month without spending more than you earn. It can easily account for savings goals such as a new home. It’s totally free. Wally is a global personal finance app that provides a complete, intuitive picture of your earning, spending, and saving, all in a lightweight, user-friendly interface. Wally is free, though its developer has plans to add premium features in the future. PocketGuard links your entire financial life – all your disparate accounts – to provide a total picture of your fiscal health. It’s super easy to create goals, and a machine learning component helps create dynamic budgets that let you know when you need to dial back your spending in order to reach them. Your house might be the single biggest purchase you ever make, but it won’t be the only big-ticket item you ever buy. Unless you can comfortably live without a car, you’re likely to buy a new or used vehicle every few years. If you have kids, you’ll need to budget for their education. Once you’re ensconced in your home, you’ll probably want to make sensible improvements that enhance its value or accommodate your growing family. And, all the while, you need to have enough set aside for the unexpected. Every one of these items, and many others not mentioned here, demand a measured, thought-out savings strategy. 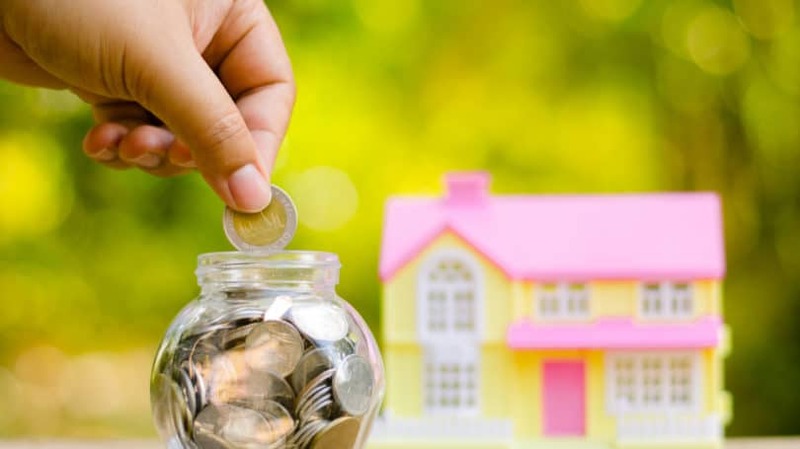 As you notch small victories in your quest to cobble together a down payment for your dream home, don’t neglect your other goals – whether you’re aiming to reach them next month, next year, or next decade. If you still need help saving, check out 25 Easy Ways to Save Money on a Tight Budget Today. Are you saving up for a down payment on a house?